In Yale University’s Environment 360, environmental journalist Caroline Fraser argues that social media, like many technologies, may alienate people from nature and be a major time-waster, but also has the capacity to connect scientists with the public and empower a “green army” to act on their behalf. This decentralized army of naturalist volunteers can do some useful grunt work by monitoring species, observing behavior, reporting the presence of invasives, and documenting changes in climate, populations, or plant life, all while learning about nature in the process. For scientists, interacting with the public via social media may be key to getting a “grasp on complex ecological change,” made even more complicated by climate change. For society as a whole, social media could, hopefully, also be used to get people to care about biodiversity again. There are a number of open source taxonomy and monitoring projects that try to harness social media. Project BudBurst from NEON/Chicago Botanic Garden enables users to share observations on plants first leaf, flower, and other phases. “Many offer training in species identification and invite the public to post targeted observations: the number of gray vs. fox squirrels (Project Squirrel), the appearance of buds in spring and other seasonal plant phases (Project BudBurst), the migratory behavior of Monarch butterflies (Monarch Watch) or hummingbirds (Operation Ruby Throat).” Other Web projects seek to analyze the data collected from BioBlitzes (see earlier post). Cornell professor Harry Greene, a snake specialist who increasingly connects with members of the public who e-mail him photos of local snakes, worked with one of his graduate students to create NatureWorm, a social media site designed to spark widespread interest in nature. One community site, iNaturalist.org, which was created by students at University of California, Berkeley’s School of Information, enables users to upload photos and discuss sightings of different species. A more commercial site, Project Noah, is an app developed by an entrepreneur and students at NYU and now has more than 100,000 users who have made more than 60,000 sightings. 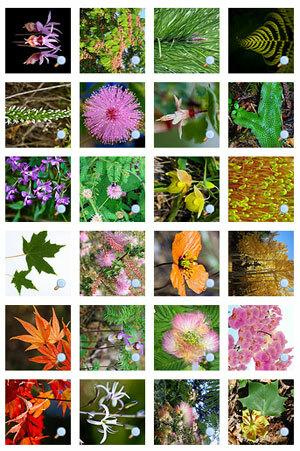 “Recent caches feature everything from the inevitable white-tailed deer and common garden flowers (‘rose,’ ‘lantana’) to images of a red-eyed tree frog, an Arctic fox, a Plains zebra rolling in dirt, a griffon vulture in flight, and mating common Indian toads.” Contributors to Noah earn “patches” and join “missions,” scientific projects. The National Geographic Society is getting in on this and investing in the project. Online multiplayer environmental games may also have great influence, Fraser believes. The University of Virginia’s Chesapeake Bay Game, an “interactive computer simulation,” enablers users to see change over a 20 year window, and allows teams to play the part of “oysterman, crabbers, dairy farmers, real-estate developers, and policy-makers, everyone with an impact on one of the world’s most endangered watersheds.” By role-playing, teams can learn about the tough trade-offs between economic development and environmental quality. Its 10,000 data points have proven to be so useful IBM has selected it for the World Community Grid program. Other sites have extended the reach of mass environmental movements: Bill McKibben’s 350.org used its site to organize more than 5,000 events in 180 countries. Also, “Avaaz, the Web-based social justice movement, has inspired more than a million to sign a petition to protect bee populations by banning neonicotinoid pesticides in the U.S. and EU.” Unfortunately, Fraser says, none of these Web-driven social movements have made much real-life impact yet. Also, it’s important to add that the Web and social media sites have also made collaboration between scientists easier and more open to the public. An important site in this regard was started by E.O. Wilson: The Encyclopedia of Life.